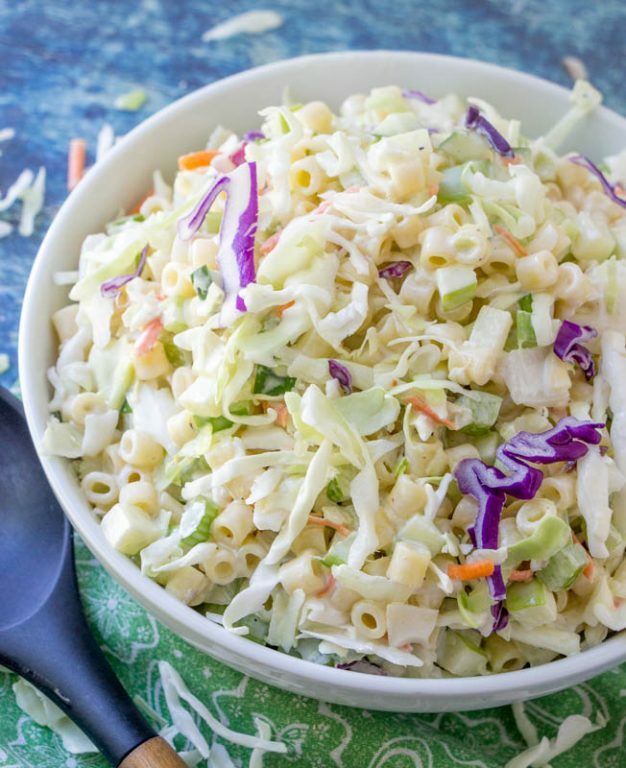 Macaroni Coleslaw Salad is packed with vegetables, pasta, a diced apple, and a beautiful combination of your two favorite summer side dishes: coleslaw and macaroni salad! 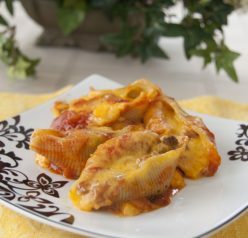 This is a great, easy recipe to take to a potluck or BBQ. I have already seen back-to-school ads on TV and signs hanging at the stores. 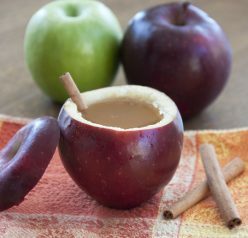 Apple and pumpkin recipes have even been seen floating around the internet when I browse Facebook. Well, this recipe actually has apple in it so maybe it can count as a summer AND fall recipe. I just want summer to last forever! Thankfully, we still have the whole month of August to look forward to and the summer picnics are still going on. 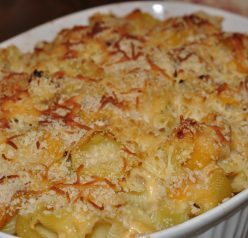 Also, we have Labor Day and the “unofficial” end of summer where we all could use some new side dish ideas to bring to our end-of-summer events and get-togethers. 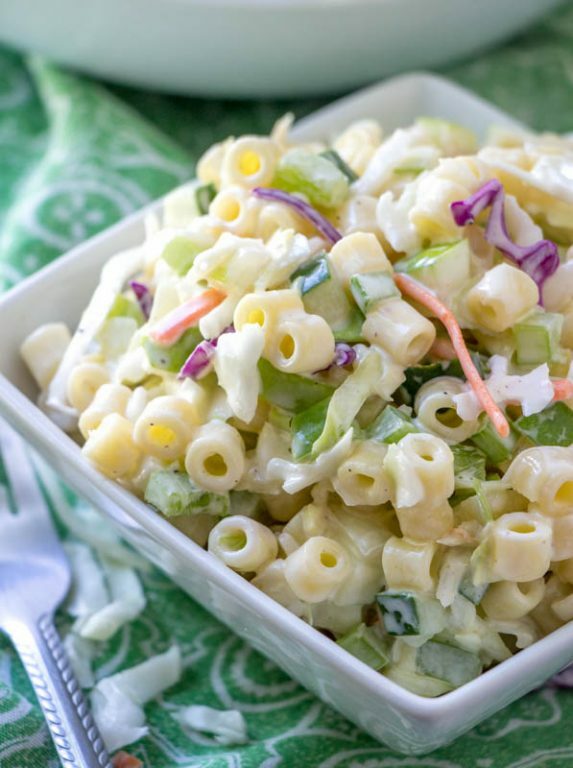 I’m currently loving this Macaroni Coleslaw Salad and think you will, too. Have you had a chance to try my Make-Ahead Eight Layer Salad yet? Having a newborn baby is making this summer just fly by! The days seem long but the weeks are going by so fast that I hardly know what day it is sometimes. I haven’t had a whole lot of time to spend in the kitchen lately for obvious reasons, so that is why I’m all about easy and fast salads that require hardly any time at all to put together. 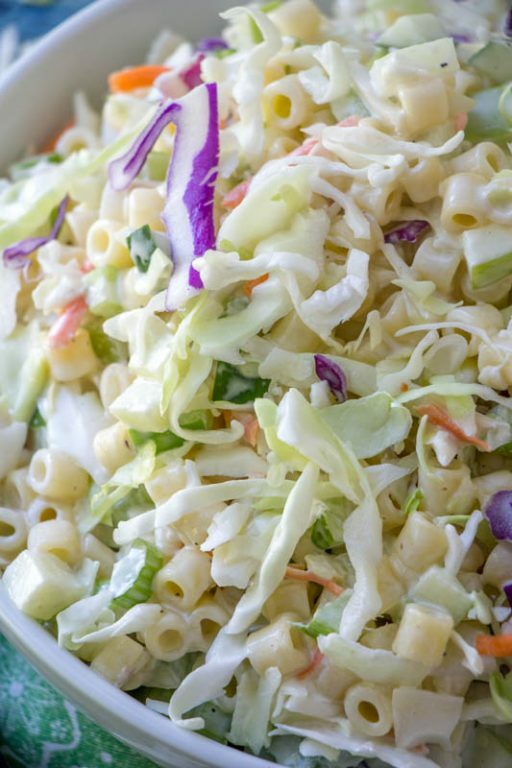 That is where this Macaroni Coleslaw Salad comes in to play. The first salads I reach for at a picnic are salads that contain pasta. Maybe it’s the Italian in me? 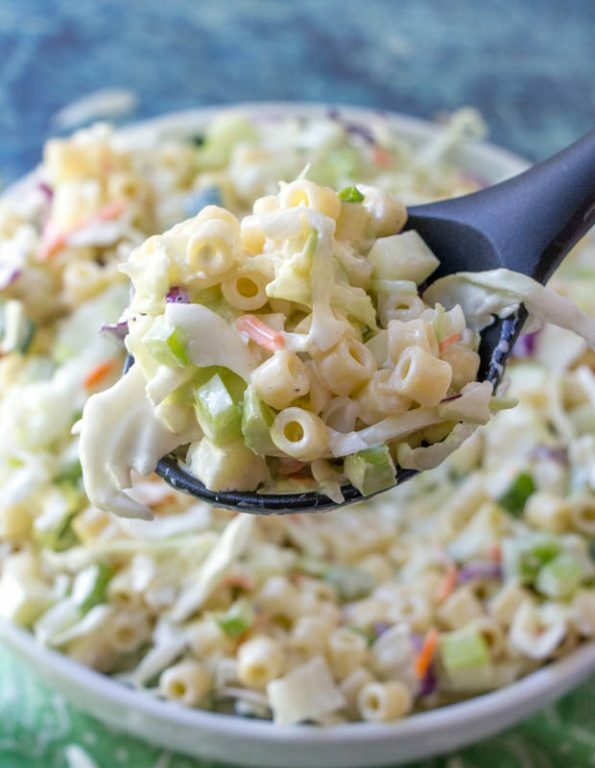 This Macaroni Coleslaw Salad combines your two favorite summer side dishes: coleslaw and macaroni salad. I love just how NOT boring it is and is not your typical side dish you would see at a BBQ. You definitely need to try this and watch it completely disappear at your next picnic or potluck! My favorite thing about this salad is the crunch factor that the diced apples give it. You should also try the most popular salad recipe on my blog: Creamy Pecan Crunch Grape Salad. Check out my how to video with tips and instructions on how to make this Macaroni Coleslaw Salad! 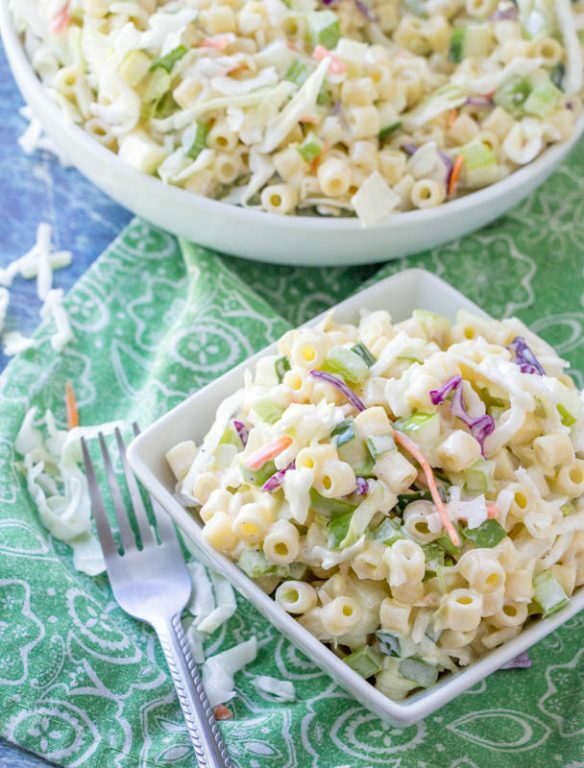 Macaroni Coleslaw Salad is packed with vegetables and pasta and a beautiful combination of your two favorite summer side dishes: coleslaw and macaroni salad! This is a great, easy recipe to take to a potluck or BBQ. Cook macaroni in a large pot according to package directions; drain and rinse in cold water to stop the cooking process. Transfer to a large serving bowl; add the coleslaw mix, onion, celery, cucumber, green pepper and apple. In a small bowl, whisk the dressing ingredients. Pour over salad; toss to coat. Cover and refrigerate for at least 1 hour prior to serving. Enjoy! This looks delicious. Perfect for bringing to a picnic.